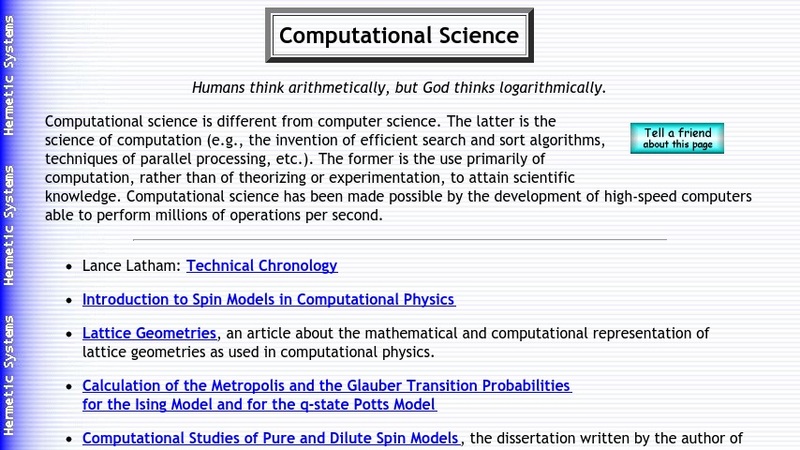 This site introduces computational science with a brief overview which distinguishes computational science ("use primarily of computation, rather than of theorizing or experimentation, to attain scientific knowledge") from computer science ("the invention of efficient search and sort algorithms, techniques of parallel processing, etc."). There are a number of links to software and articles that help the visitor understand. This page is from a larger site that contains even more software and articles on topics including calendars, date conversion, and encryption.